"It rejected better, it sounded more like Justin’s voice when we handed it over to him...it just makes our job a lot easier. We really love the capsule, it's been great." 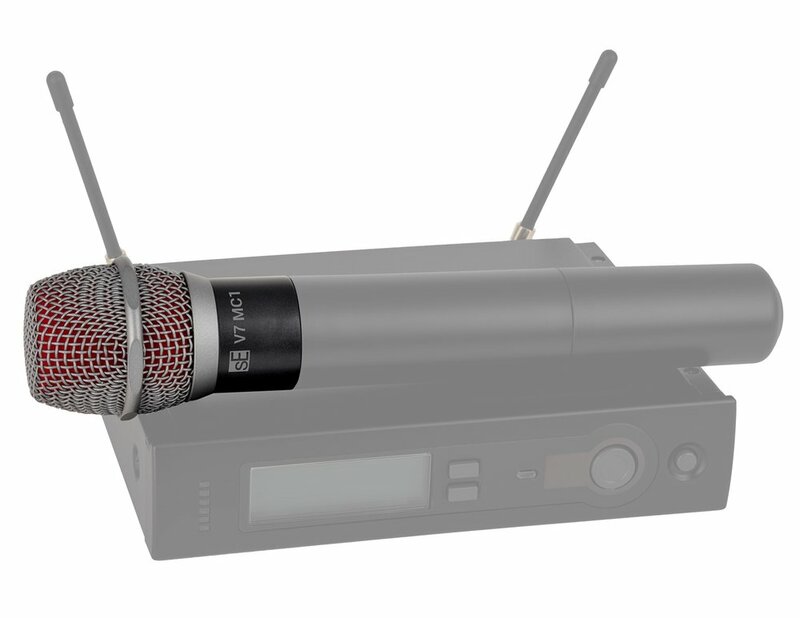 A high-performance wireless version of our V7 supercardioid dynamic vocal mic, specially designed for your Shure® handheld transmitter. We are totally in love with these V7 MC1 capsules. 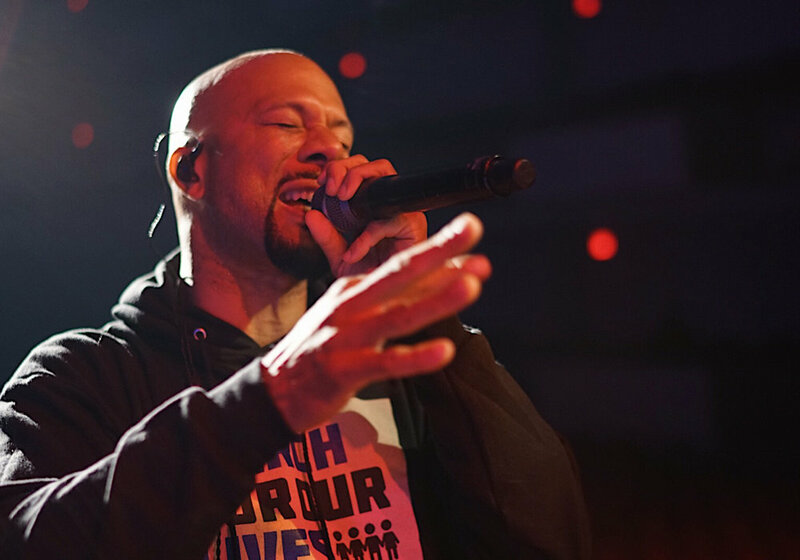 It works perfectly with Common’s voice and style!" “We took a listen, did a comparison, and that was an awesome thing. It rejected better, it sounded more like Justin’s voice when we handed it over to him, and it’s just making it a lot easier on us - in front of PAs especially, because these days your artist is in front of the system quite a bit, and it just makes our job a lot easier…we just really love the capsule, it’s been great." "We are totally in love with these V7 MC1 capsules. 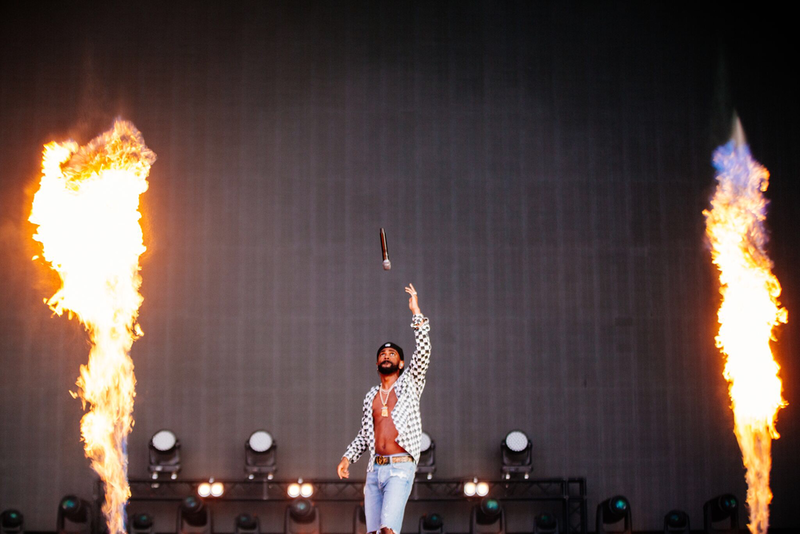 It works perfectly with Common’s voice and style!" 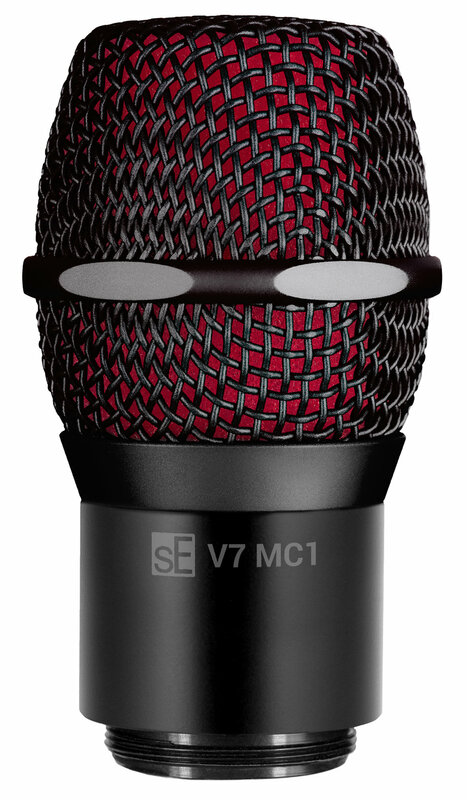 "The sE V7 MC1 capsule is, without a doubt, the most transparent microphone capsule in our inventory right now. The first time I heard the mic, it sounded as though the singer was using a large diaphragm condenser. His voice was just bigger and more forward, without doing any EQ or compression. The rejection is amazing. There is much less drum bleed than any of the other mics." "I was quite skeptical about testing a new lead vocal capsule in a working setup. But the V7 MC1 blew me away regarding clarity in the highs and a tight, cleaned up low-end. Even off-axis pickup of cymbals etc. sounds 'more expensive' and easier to integrate in my mix." "..feels comfortable and substantial in the hand...delivers a solid, natural vocal sound with good resistance to popping and suitably low handling noise." "They manage to sound punchy without ever being over-harsh in the presence region...[the V7's] extended frequency response and good resistance to feedback make it a strong performer." "‘Does the world really need another dynamic vocal mic?’ I hear you ask. With one that does the job so well as this one, the answer is yes." "In a direct shoot out against my 57, I found the response particularly informative down around 100Hz without sacrificing any of the excitement and nuance up at 5kHz and again at 12- 15kHz." "Form and function go hand in hand as the impressively nuanced and accurate sound is augmented by some crafty design windfalls, not the least of which is the beveled ‘anti roll’ ring around the mic’s circumference. Overall it is a heavy duty, stylish and affordable addition to the front of the stage." "Feedback wasn’t an issue...even when the grille was inevitably cupped by the grip of an MC not yet schooled in proper mic technique, neither mic went into feedback." "The V7 is an all around great mic that really captures my voice and blocks out the rest. I’ve had a lot of issues in the past with feedback - as we like it really loud on stage - and this mic seems to be a perfect fit for what I’m looking for." "In the V7 sE Electronics have a well-judged product that sits well with the excellent competition and is a level above similarly-priced 'budget' mics...it feels solid enough to last a lifetime in the studio or for general live use...I think these mics are a useful update to the classic design: the best of the past with design and sonic qualities for the future." "We recently did a shootout with the new sE V7 handheld vocal mic against two classics, the Shure SM-58 and SM-7 and were very impressed with the V7. It had a much more extended top and bottom and the off axis rejection was much, much better than either of the Shure classics." "For capturing a live 'on the floor' vocal, the V7 should be a serious contender." "Technically perfect design...robust sound for the stage that does not cost the world." "...its subtle metallic effect makes the live microphones a real eye-catcher...they also feel very valuable." "The processing of the microphones is faultless...and small gimmicks, such as the anti-roll ring at the microphone head and replaceable inner windscreen, make working with newcomers in this field like sE Electronics a pleasure." "With the V7, singing behind the drums is not a problem anymore. Besides the fantastic sound, the V7 isolates my voice perfectly from the drums, and now it's possible to record my vocals while drumming." "GREAT SOUNDING MIC WITH AMAZING OFF-AXIS REJECTION - Our studio focuses on live video recordings of mostly punk bands, and have had considerable problems with drum bleed in the vocal mics. We did a shootout with an Audix OM7, EV n/d96, and the V7. The V7 blew the competition out of the water. Minimal drum bleed while maintaining a pleasing, open sound. Time will tell if they're as sturdy as an sm58, but they would definitely be my choice for live vocals. Considering the price point, these mics can't be beat." "Love this mic. Using this as my vocal mic. I am blown away by the clarity and reproduction of nuances in my singing..."
"...according to the specs, it is half a db hotter than an SM58 so it will produce minimal surprises at the desk, other than how much nicer it sounds, when you sub it in. No need to swap the clip over either. I'm a baritone, but I think this would work for anybody given that it is very neutral sounding. Tried it on flute as well and that sounded very nice too, and no trouble with blast. So there would be no problem playing flute through it while sitting at the piano." Shure® is a registered trademark of Shure Incorporated, and has no affiliation with this product.